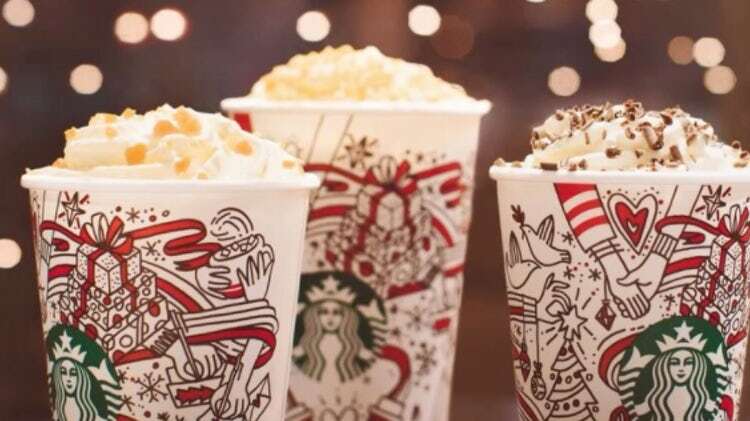 Here’s How to Get Free Starbucks Holiday Drinks This Week! The holiday season is here, and to spread some cheer Starbucks is giving away free drinks! The popular coffee chain is kicking off November with a BOGO deal that will give you two holiday beverages for the price of one. #Blessed. Running from Nov. 9 to Nov. 13, customers who purchased a festive hot, iced, or blended drink will get another one of equal or lesser value for free (yes, free!). The #GiveGood special starts this Thursday, but keep in mind you have to stop by your local store between 2 p.m. and 5 p.m. to take part. So what holiday beverages are included? Your options include favorites like the peppermint mocha or eggnog latte — or you can try something new like the Holiday Spice Flat White. Best part, if you can’t decide you can splurge on two! Food, such as cake pops, is also included.